As well as being the lifeblood of the consumer technology industry, innovation has the amazing power to transform people’s lives. For example, without innovation in phone technology we wouldn’t have the smartphone in all its glorious forms today; powerhouse devices that have changed how people live, work, and are entertained on a daily basis. And while technological innovation can end up large and sweeping in scope, it often begins from a single, pioneering device - the progenitor of the new wave that is to come. Do you have a brilliant idea for the next great tech innovation? Then enter our Tech Innovation for the Future competition and you could win up to £10,000! Over the past 10 years there have been a lot of these innovative gadgets. Some have merely tweaked an existing concept or product in a way nobody had thought of before, while others have boldly come out of left field. Some have been instant commercial successes, while others have needed time and iterations to catch on. Regardless of their origin and financial success, though, these innovative gadgets have - in an instant - opened up amazing new possibilities and enriched people’s lives through technology, which is something that at T3 we believe in strongly. What follows is a selection of some of the most innovative gadgets of the past decade (2008 - 2018), with a concise explanation as to why we feel they were so game-changing. Now 10 years down the road from Tesla’s Roadster, the first highway leal serial production all-electric car that could travel more than 200 miles (320km) per charge, its importance cannot be overstated. Not only did the Roadster pave the way for Tesla’s subsequent electric vehicles, which have culminated so far in super popular Model X, it also jolted the entire car industry to push strongly into electrification as well, proving that the technology was now mature enough for it to go mainstream. Almost all car manufacturers - from Nissan to Lexus, Honda to Audi - are now producing electric vehicles, pioneering renewable energy initiatives, and rapidly innovating electric vehicle technology. And it is all, arguably, down to the Roadster. The HTC Dream, while largely unmemorable as a device (although you might remember that comically dated design), is memorable for one very important thing: it was the first smartphone commercially released that used the Linux-based Android operating system. Back in 2008, the smartphone market was dominated by one incredibly innovative device from the year before: the original iPhone. And the competition to its supremacy was essentially zero. The HTC Dream, though, showed that the iPhone could be competed with in terms of smartphone OS and paved the way for, arguably, the most open and versatile mobile operating system that there has ever been. And, with Android itself being so open, it also encouraged more and more makers to get into the business of making Android smartphones, culminating so far in 2018 with manufacturers from around the world - from Samsung in South Korea, to Huawei in China, Alcatel in France, to Sony in Japan - innovating the smartphone in some truly astounding ways. When the late-great Steve Jobs said that, “what we want to do at Apple, is we want to put an incredibly great computer in a book that you can carry around with you and learn how to use in 20 minutes,” back in 1983, we’re not sure many would have ever envisioned that he would achieve that aim. But in 2010 that’s exactly what Apple did. It produced a book-sized computer that was incredibly intuitive and easy to use, using touchscreen finger inputs. And in doing so, the company not only created the tablet market as we know it today, but also affected how we perceive computers in general. Indeed, the iPad remains the most popular tablet device on the planet, in all its many forms - and along with iterations such as the keyboard cover and digital stylus, it has caused innovation in laptops, smartphones, satellite navigation systems and many more devices, too. The first iPad was poorly specced by computing standards at the time, but it showed what was possible and carved out an innovative new product category. Drones were nothing new in 2010 when Parrot launch the AR.Drone at CES in Las Vegas, with expensive hobbyist kits gaining popularity in niche markets from the late 1980s. However, what was innovative and new was the idea that drones could be both affordable to the mainstream, and also controllable via something as prolific as a smartphone. The AR.Drone showed that both of these things were achievable and then some, with the maker’s AR.Race software also introducing a level of gamification to the product category, enabling users to take part in games, races and simulations with their drone. Today, many other drone makers have followed the innovative template set down by Parrot, with makers such as DJI, Yunnec, Autel Robotics and more producing a wide range of consumer drones that offer cutting-edge features such as in-built 4K video recording, GPS follow me functionality, and the ability to fold drones for ease of transportation. Today in 2018, fitness wearables are not only all the rage, with huge players such as Garmin and Apple dedicating large R&D resources to producing increasingly advanced and innovative products, but also completely normalised to the extent that, for many, they now replace a traditional watch. However, it wasn't always thus. Indeed, arguably it wasn't until activity tracker company Fitbit (only created in 2007) decided to evolve its technology to create a fitness tracker that you could wear on your wrist - the 2013 Fitbit Flex - that the wearable market really took off for the mainstream consumer. Since then there have been numerous Fitbit wearables, such as the Fitbit Charge HR and Fitbit Blaze, as well as many other high-calibre fitness trackers (you can see the greatest in our best fitness tracker guide) and smartwatches, and each one has helped make their owner's life better, encouraging and empowering them to live healthier. There's not much in the name, but it's hard to overlook the legacy of the Sharp LC-70UD1U, as it was the first THX 4K certified ultra HD TV. Today, 4K resolution televisions are widespread (check out the greatest currently on the market in our best 4K TV buying guide), with the technology mature enough now that prices have dropped to a level where most people can afford one. However, back in 2013 Full HD televisions were the limit to all but the exceptionally wealthy, who relied on limited run prototypes and special edition sets. And, even then, there was basically no 4K content for that exclusive group to exploit anyway. The LC-70UD1U and the TVs that immediately followed it, though, showed that mainstream 4K TVs were possible, laying the groundwork for the affordable technology that we have today in 2018. Today, curved smartphone screens are commonplace, with Samsung's very popular Galaxy S series making use of the technology to stunning effect in its Infinity Display panels. However, it was a little-known phone from 2013 that kickstarted the whole curved glass revolution. The 2013 Samsung Galaxy Round was the first commercially-produced smartphone to feature a flexible AMOLED display. However, because it was considered right out there in terms of design at the time, it was only made available initially in South Korea. When the west caught up with what was going on with the Galaxy Round, though, it received an incredibly positive response and, well, the rest is history. Samsung - and many rivals - went on to produce numerous phones with curved glass displays and transformed how the world viewed smartphone design. Indeed, the curved display innovation was so strong that it even bled out of the smartphone sector and into TVs, with curved panel sets now commonplace on the market in 2018. 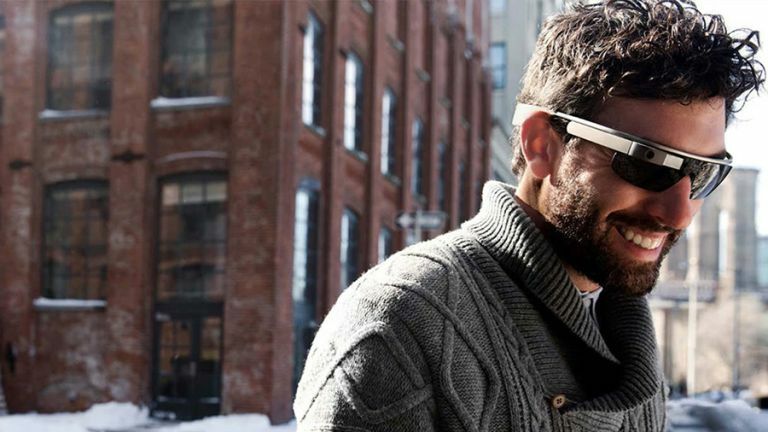 Google Glass never broke into the mainstream market, with the technology too expensive and too clunky for it to go big time. However, it did what many forgotten products do by proving that the germ of the concept had the possibility to radically alter how people live their lives and receive information. And, despite us only being four years on, that groundwork already looks to be being built upon in some really interesting ways. From the AR/VR wizardry of Magic Leap, through to the interesting AR and heads-up display technologies being shown off in motorcycle helmets, that idea pioneered by Google Glass that your view of the world could be augmented with extra information or stimuli is being realised. Maybe in another 10 years we will have smart AR-infused contact lenses. The potential for the technology seem far-reaching indeed. If there has been one product that has helped bring AI and personal AI assistants to the mainstream household then it has been the Amazon Echo. The Echo was so innovative and popular that soon Amazon spawned a wide series of Echo products such as the Echo Dot and Echo Show, and sold the technology for some very attractive price points. It helped show that the average person could genuinely benefit from AI. From helping people to stay entertained by playing music or reading audiobooks on command, to helping them stay organised by setting alarms and reminders, and onto ordering products for them, making video calls, and telling them jokes, among many, many other things, Amazon Echo laid the groundwork for AI in the home. Soon rivals like Google and Apple were forced to compete with their own products, such as Google Home and Apple HomePod, and the innovation just kept coming. VR technology today is at a level of fidelity and complexity that has never been seen before, with headsets ranging from Sony' PS VR, through to the brand new and crazy advanced HTC Vive Pro, taking people to wondrously immersive new virtual worlds. This new wave of VR tech, though, almost certainly owes itself to the original 2016 Oculus Rift, which showed that computer hardware had reached a level of maturity to really step virtual reality up a level, both in terms of fidelity and potential applications. Indeed, today in 2018, VR technology is not just used in the gaming sector but also as learning aids in the medical and engineering sectors, with apprentices using VR to train themselves before applying their knowledge in the real world. The humble beginnings of the Oculus Rift, with its original creator Palmer Luckey putting it together in his parents' garage, just reaffirms that innovation - even coming from the smallest origins - can quickly and massively change the world. This article is part of our Tech Innovation for the Future series, brought to you in association with Honor. How are your EPOC, PTE and heat map looking today? Environmentally friendly, cool technology, great beer: what's not to like?